Instagram has slowly become an obsession of mine over the past three or four years. Every moment is carefully curated and instantly shared with hundreds of people from all corners of the world. Ten years ago, it wouldn't have been imaginable and now it is second nature. Instagram has even become a verb, showing just how quickly it has permeated every aspect of our life. Whilst living abroad I was eager to share every moment with family and friends back home, so naturally I turned to Instagram. However, I still felt there was something lacking. I missed having a tangible object to make the memories seem more real. Looking at a physical photograph is a completely different experience to gazing at a multitude of pixels on a screen. It is more wholesome and comforting. Soon after returning home, I found LALaLab, a company who can turn your digital photos into calendars, magnets and of course, Polaroid style prints. I wished that I had had a Polaroid camera whilst I was away as the photos are so ethereal and magical so this was the next best option. I selected around 100 of my favourite photos and using my mobile I uploaded them to the LaLaLab server and pressed send. In less than a week I received the prints in the post and couldn't have been happier. 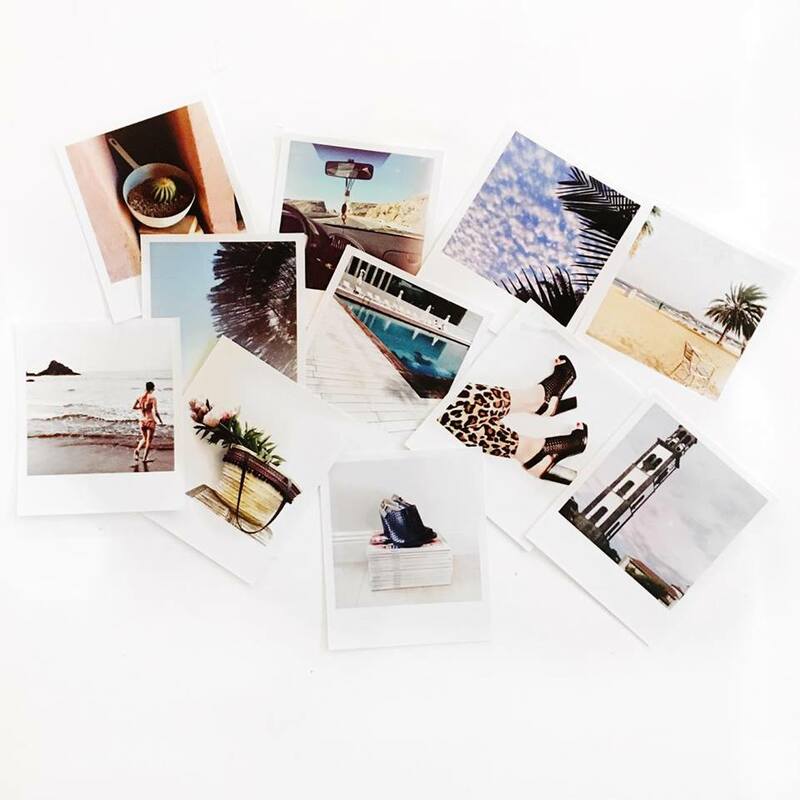 Not only do they capture the essence of the old school Polaroid prints, they also incorporate the spontaneity of digital photos and Instagram. I am so happy to have all these little memories in photo form and now I just need to decide what to do with them all. If anyone is interested in using LaLa Lab for their photos, here is a £5 discount code: PGBSKUG0 Remember to add it in at the checkout to get the discount.